Ranked as the 24th busiest airport in the nation and home to Southwest Airlines, Midway is recognized as a highly-constrained airport surrounded highly urbanized development. 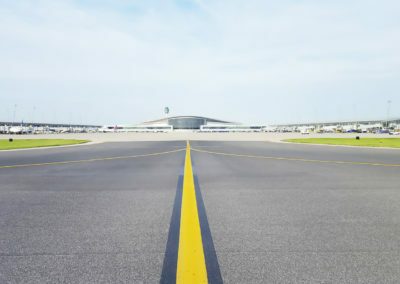 Since 2013, Crawford, Murphy & Tilly (CMT) has been providing on-call planning assistance to help maximize the airport’s limited airfield facilities to the highest extent possible while addressing new FAA Airport Design Standards including airfield geometry. 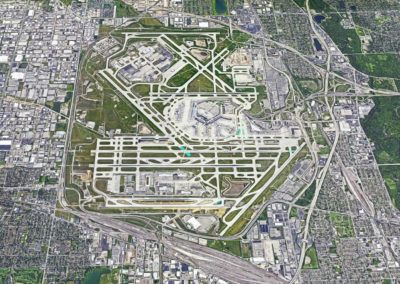 Current planning efforts at Midway include Airport Layout Plan (ALP) development/consulting, obstruction mitigation, airfield efficiency studies, and collection of AGIS data. 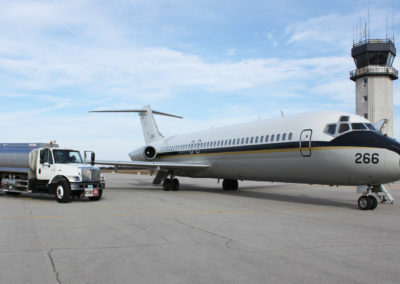 These planning initiatives are targeted specifically at maximizing what is one of the most physically constrained commercial service airports in the nation. As part of a comprehensive ALP update, FAA has requested the airport consider the development of a Modification of Standards (MOS) justification package to identify and develop reasonable mitigation actions to address non-standard conditions in accordance with new FAA Airport Design standards. CMT lead the development of an airfield efficiency study which identified short-term and long-term initiatives that could be implemented to enhance operational efficiency going forward. The study took a “no stone unturned” approach in identifying a range of factors which affect the efficiency of the airfield. These factors included the effects of Wake Turbulence Reclassification (RECAT), On-Time performance by the airlines, FAA acceptance rates for arrivals and departures (call rates) under different operating conditions, ground/taxi movements including hold locations and queuing areas, gate occupancy time, and deicing operations under numerous departure runway configurations.